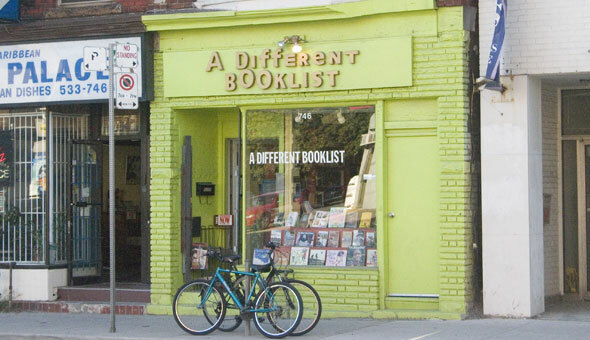 A Different Booklist is at 746 Bathurst St just south of Bloor St. in the Annex neighbourhood of downtown Toronto. A Different Booklist features a wide range of books ranging from books on and by "First Canadians, African-Canadians, from the Caribbean to Asia, from Adults books to Children’s books. We open the door to literary gems from the Canadian Cultural Mosaic." They also host a number of author events throughout the year.